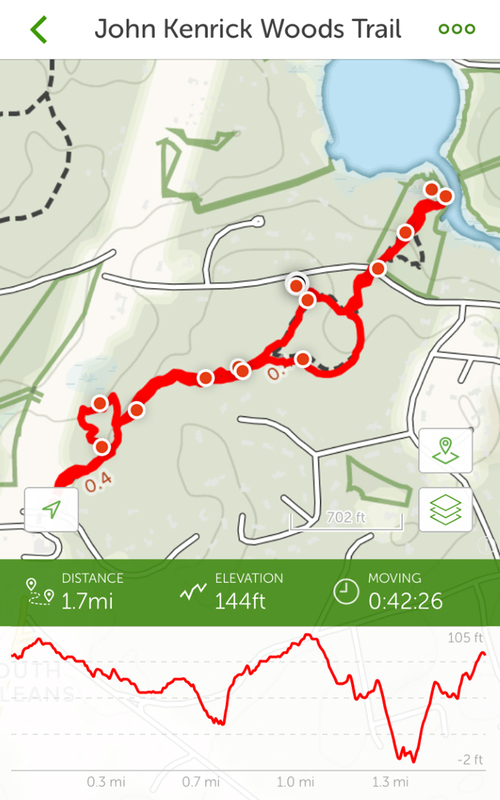 Hiking The John Kenrick Woods Trail On Cape Cod Using The AllTrails App. 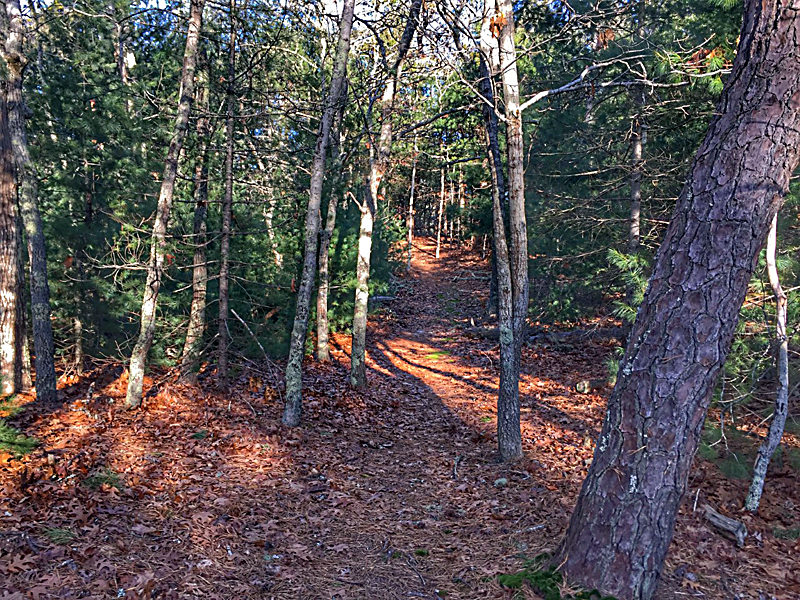 The John Kendrick Woods Trail in Orleans was a huge surprise hiking through the beautiful pine forest. You can make a short loop and get a little bit of elevation gain which is always fun here on Cape Cod. (You can see a full map at the end of the blog.) 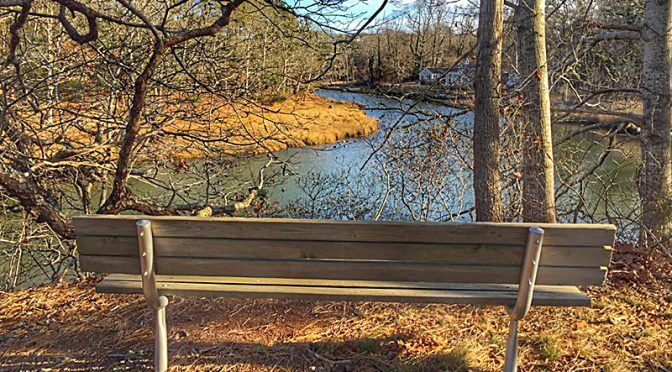 If you take the 2nd loop you cross a road to get to Arey’s Pond where you can sit and relax in the bench overlooking the river. Another really pretty hike which you can get on the AllTrails App along with many photographs which is great for the whole family. Previous PostNauset Beach On Cape Cod Is Changing With Lots Of New Sand!Next PostGorgeous Views From Marconi Wireless Station In Wellfleet On Cape Cod.